Choose the Best Synthetic Oil for Marine Engines | Cerberus Systems, Inc.
Just like not all vehicles are the same, not all boats are either. That is why today we want to talk about some of the most boats and watercraft categories and how to make sure to provide them with the lubrication they need so they last. The engine of a boat has a similar job to that of other vehicles, in that it powers most of the functions and movement, yet the needs it has are not quite identical. Sure, an engine boat requires fuel and lubrication but it requires specialized protection that can provide the coverage it needs. That is why it is so important that you always use motor oil formulated to meet the needs of a marine engine. When it comes to boats the engines are dived under two categories: four-stroke and two-stroke. Basically, four-stroke engines have a lubricating system similar to that in your car and two-stroke engines don't have a separate lubricating system, the oil runs with the fuel and it lubricates while powering the engine and gets burned off along with it. 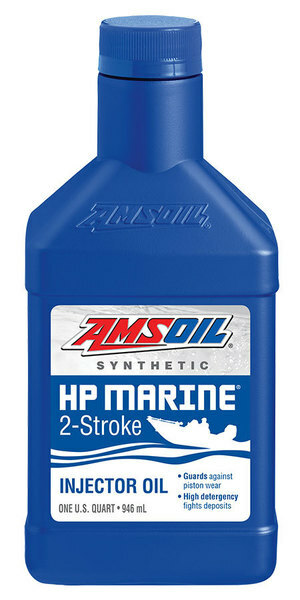 When choosing a marine lubricant, whether it be four-stroke or two-stroke select a reliable product. 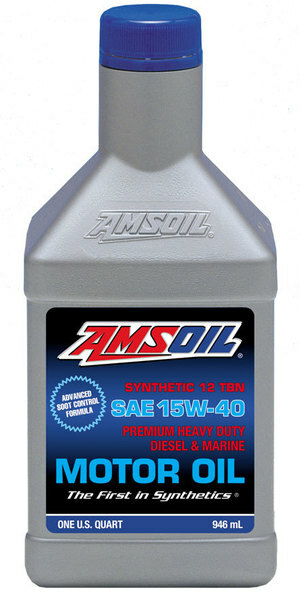 AMSOIL carries the best marine lubricants on the market. Their HP Marine Synthetic 2-Stroke Oil (HPM) offers superb protection and rust prevention while caring for the environment with its low toxicity properties. For four-stroke engines, they have different viscosity grade lubricants such as their 10W-40 Synthetic Marine Engine Oil. All of their synthetic marine oils safeguard your marine engine against wear, friction, and other dangers, increasing durability and performance. Marine engines operate under high loads and rpm for extended periods, causingtraditional automotive oils to break down and lose viscosity. AMSOIL Synthetic MarineEngine Oil is specifically designed to provide excellent shear stability and a superiorlubricating film. Synthetic Marine Engine Oil contains robust anti-wear additives thatfurther reduce wear in metal-to-metal contact regions, extending the lives of marineengines. Marine engines are prone to rust and corrosion due to constant exposure to humid,wet environments. Rust on engine parts acts like sandpaper, scouring bearings, thecylinder wall, piston rings and other components, while aluminum pistons and otherparts can corrode. Rust and corrosion reduce engine power and eventually causecatastrophic failure.Good rust protection is not natural to motor oil; it comes only by design. 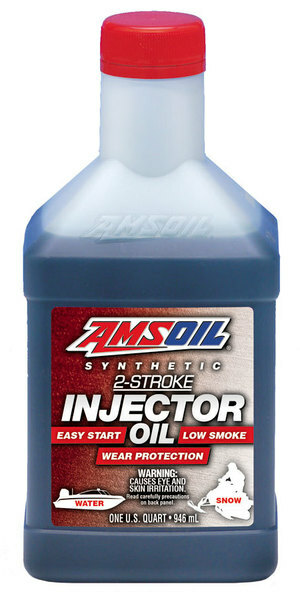 AMSOILSynthetic Marine Engine Oil is fortified with potent inhibitors that guard againstdamaging rust and corrosion. AMSOIL offers high quality products designed with the environment in mind while ensuring the protection and complete coverage of your boat´s necessities. Their low toxicity marine oil and enhanced synthetic products provide your boat with the protection it needs while keeping the environment in mind.Use marine friendly products for your boat's maintenance and oil changes. AMSOILcarries a great low-toxicity synthetic oil that is ideal for reducing the harmful substances that make their way into the marine wildlife environment. 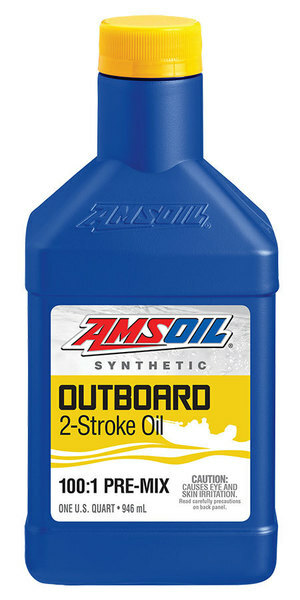 AMSOIL provides the most ideal combination of great performance lubrication for your boat, offers a unique combination of the best engine protection, and high performance along with low aquatic toxicity. Most anglers, boaters and personal watercraft owners are as interested in protecting our waterways for future generations as they are in enjoying them now. HP Marine® Synthetic 2-Stroke Oil offers a unique combination of high performance and low aquatic toxicity. It has passed stringent tests developed by the Organisation for Economic Cooperation and Development to measure the effects of oil-contaminated water on common marine organisms. Avoid cleaning your boat with substances that may be harmful to the environment. Even if you rinse and wash your boat, residue can wear off and wash into the waters. If you paint or wax your boat also make sure that the paint and products used are safe or non toxic for the marine environment. Be sure to follow the recommended instructions in regards to how long after you paint or wax your boat it is ok to take it back into the waters. Release of pollutants and toxic products isn´t the only way that your boat can harm the marine environment. When the motor churns up the water, in shallow sections it causes the lake sediment to stir up and disturbs the normal nutrient balance in the waters´ bottom. You can help prevent this by traveling at low speeds and always avoid using a big boat in small lakes. Follow the wildlife and water restrictions of your area and verify beforehand what boats and engines are safe for each specific area.